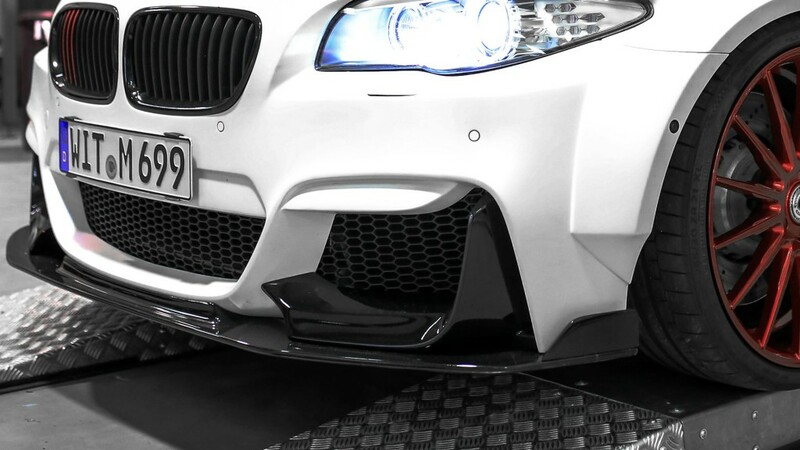 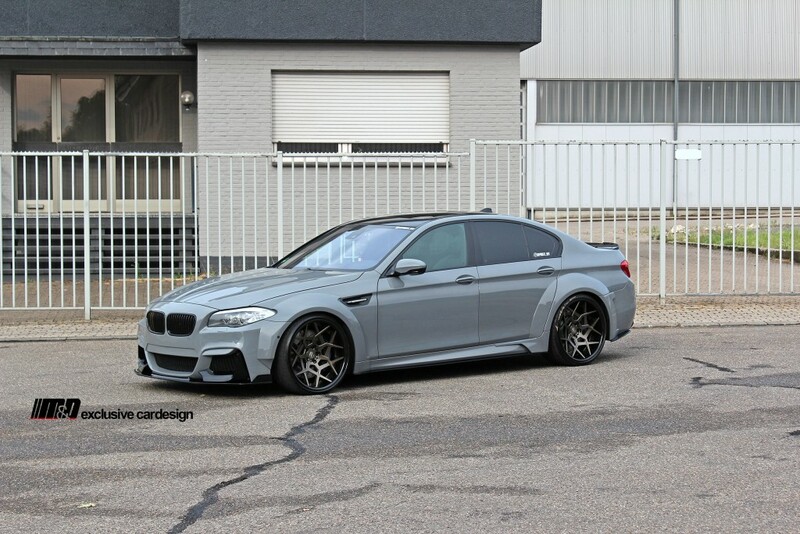 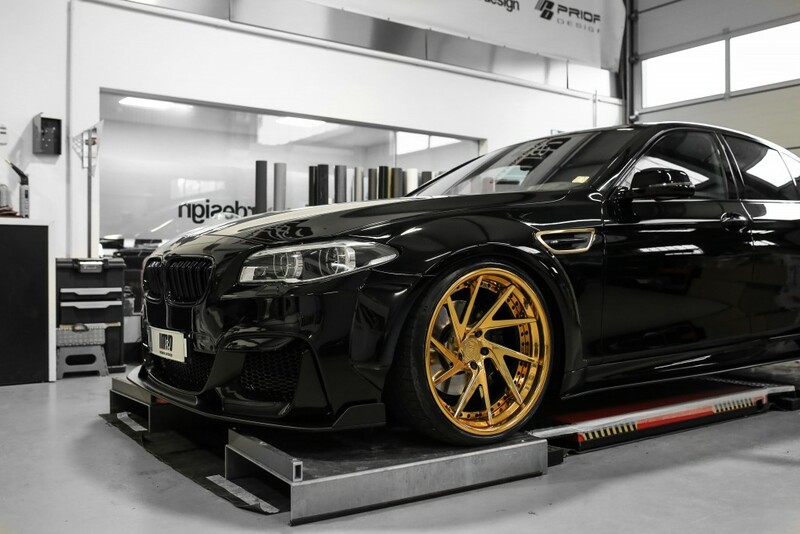 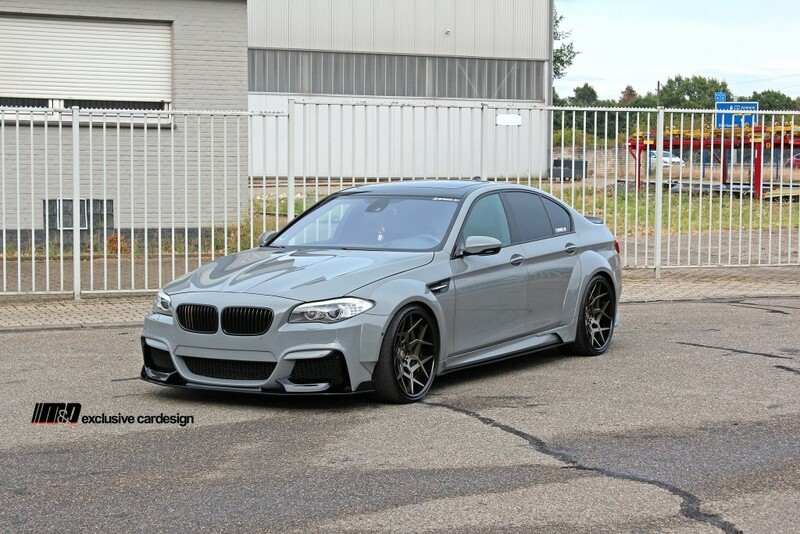 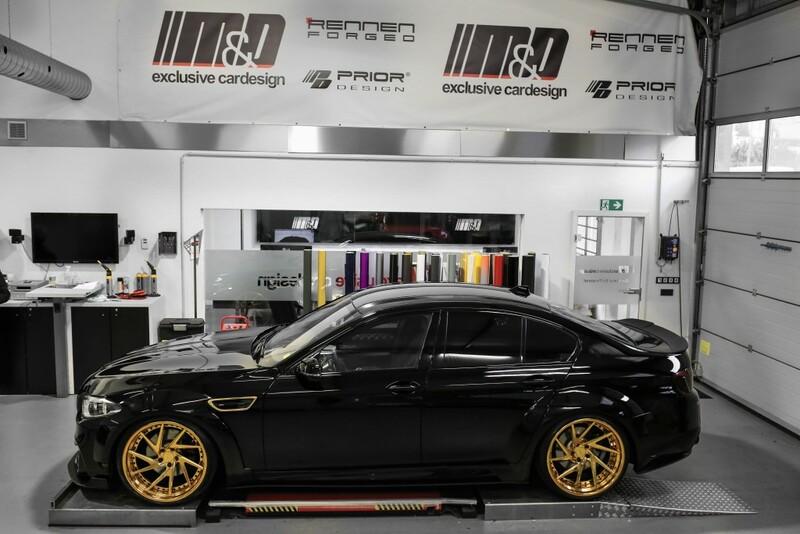 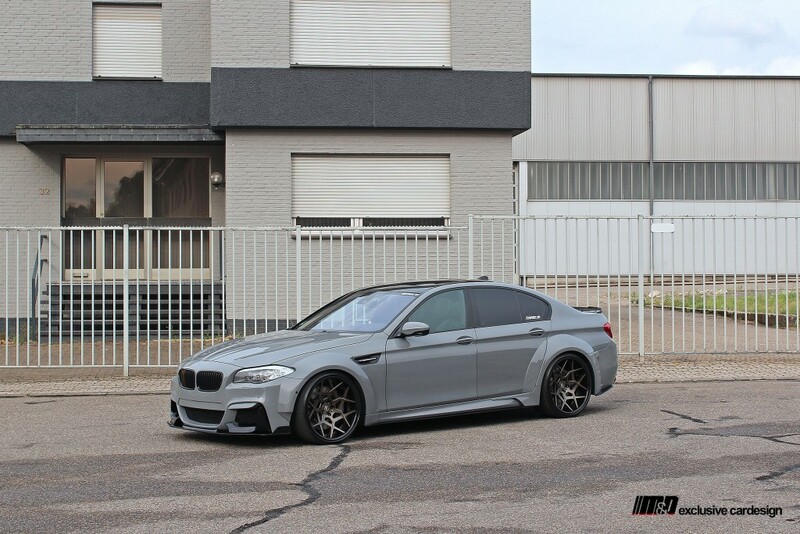 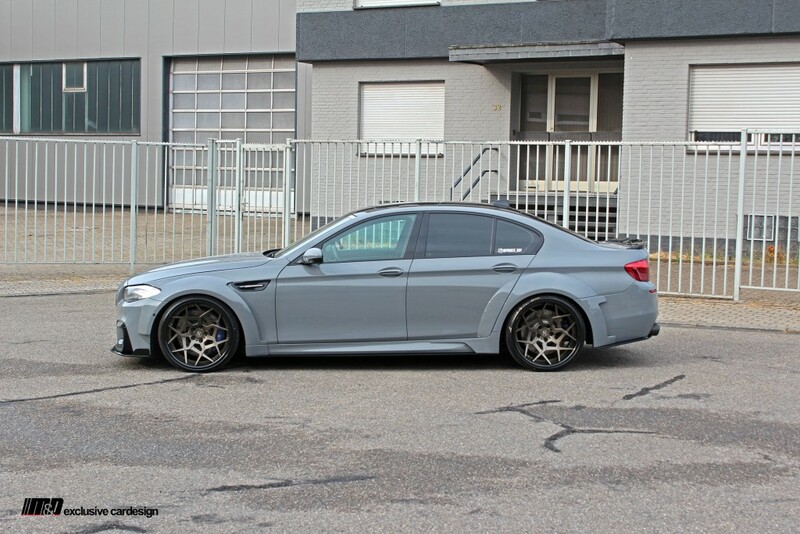 PD5XX Widebody Aerodynamic-Kit package fits all 5 Series F10 incl. 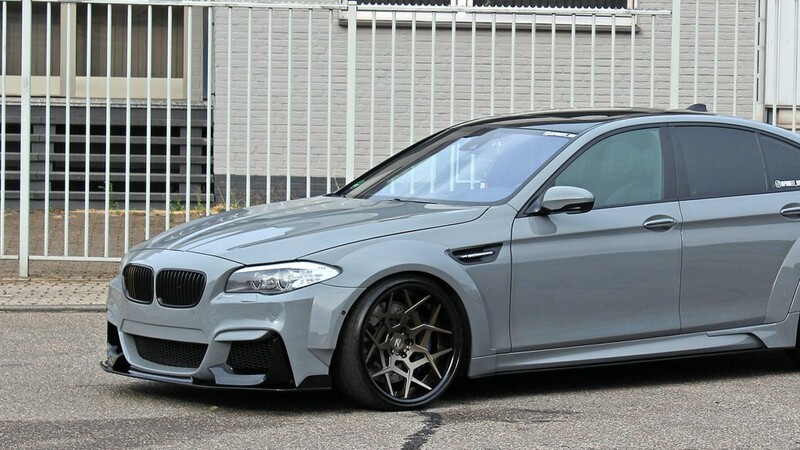 BMW 550i & M5. 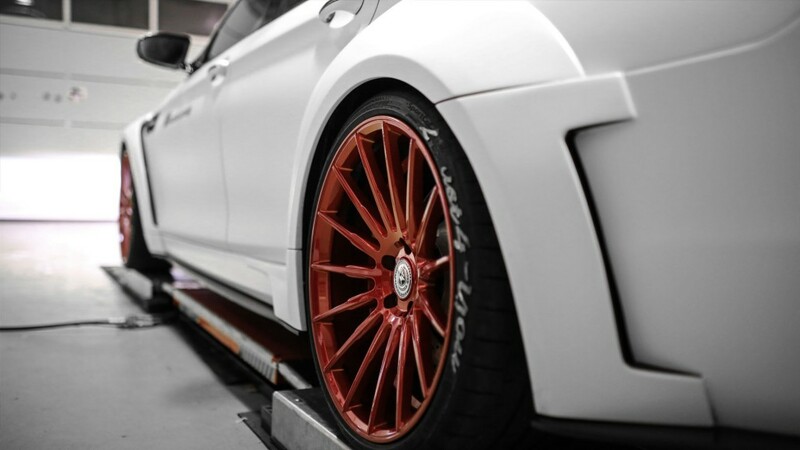 As an authorized automotive company with many years of experience we offer our clients professional advice, installation services as well as technical support. 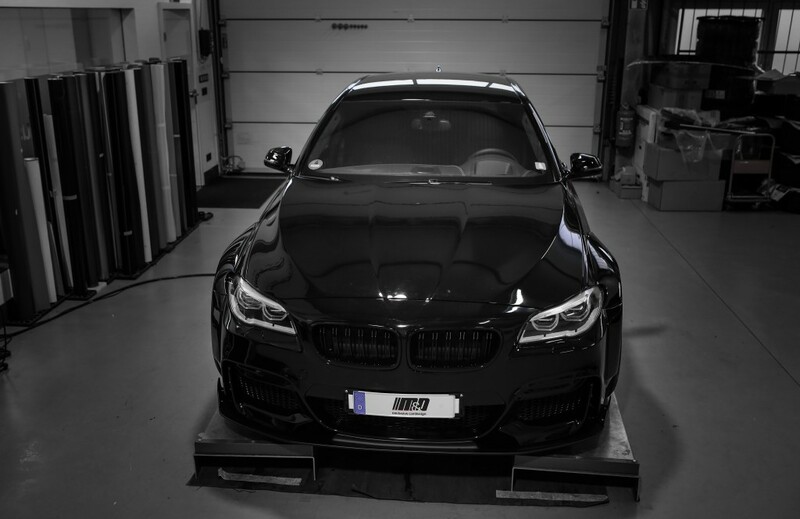 M&D is a leading partner offering world class aerodynamics products, wheels and exhaust systems. 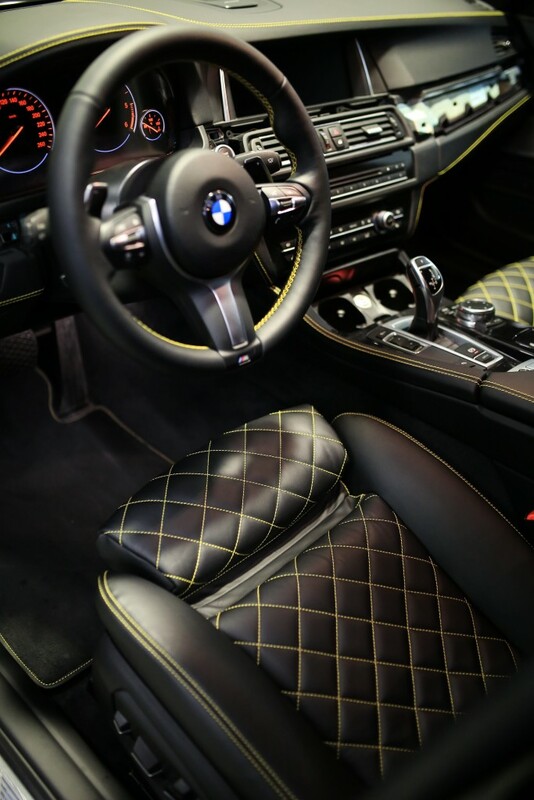 Complete BMW 5-Series F10 interior interior incl. 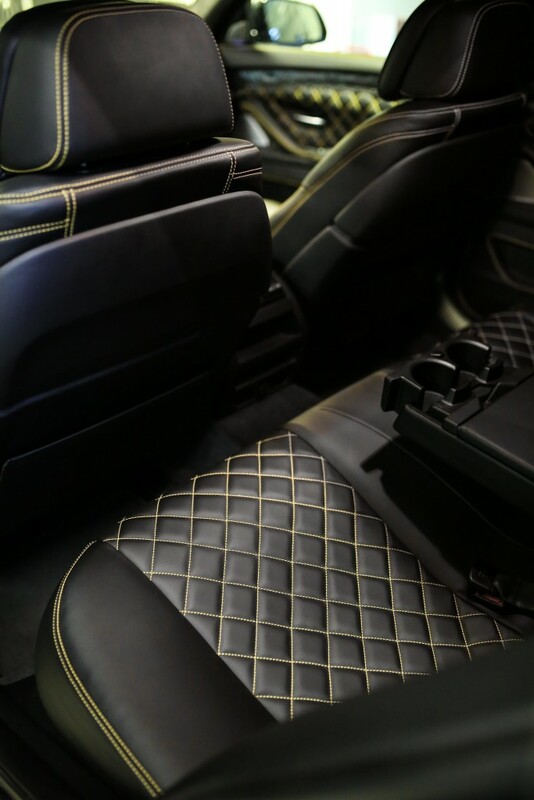 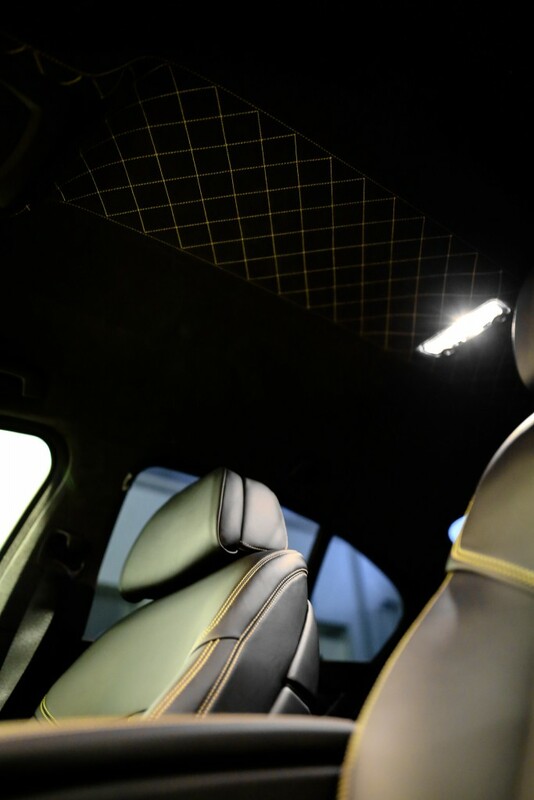 dashboard, roof trunk, trunk, all plastic parts in finest nappa set with golden step seam as well as combination with Alcantara, steering wheel upholstered and with golden step seam, interior trim black glossy lacquered and chromium strips with 24k gold plated real gold. 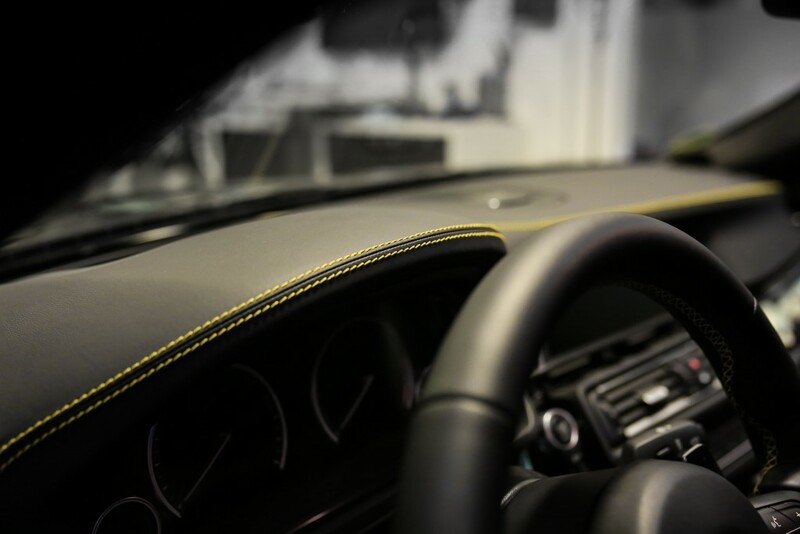 Complete lacquering in deep black incl. 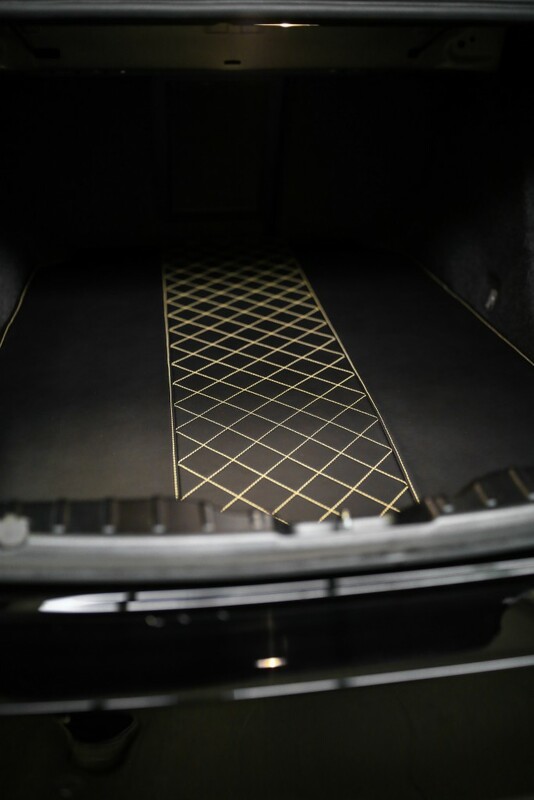 intermediate grinding and ceramic clear lacquer + various black matte accents. 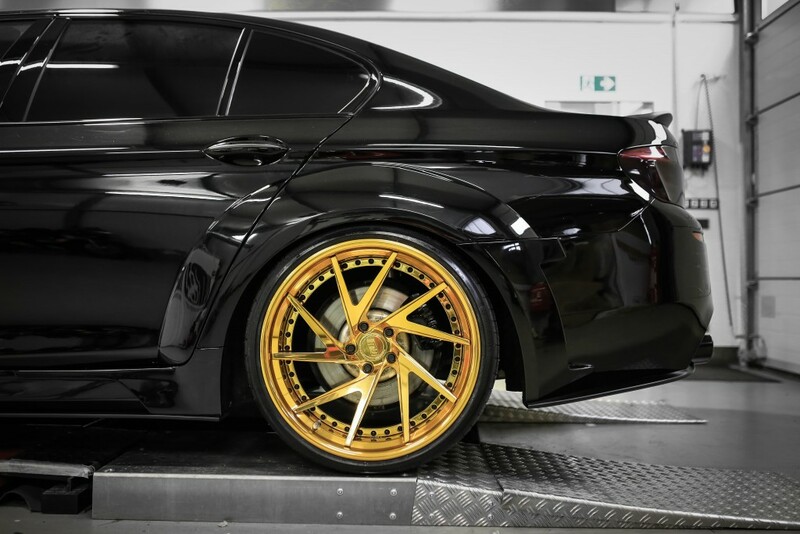 Directional / twist towards in 10 x 21 "+ 11.5 x 21"
Three-piece custom-made rims by Rennen Forged Wheels R55-D Step Lip X Concave (Directional / Twisted in the direction of travel) in 10 x 21 “+ 11,5 x 21” with 24k goldstyle finish and black offset screw connection – additionally reinforced / welded at customer request + 265/30/21 + 295 / 25/20 Continental SportContact 6. 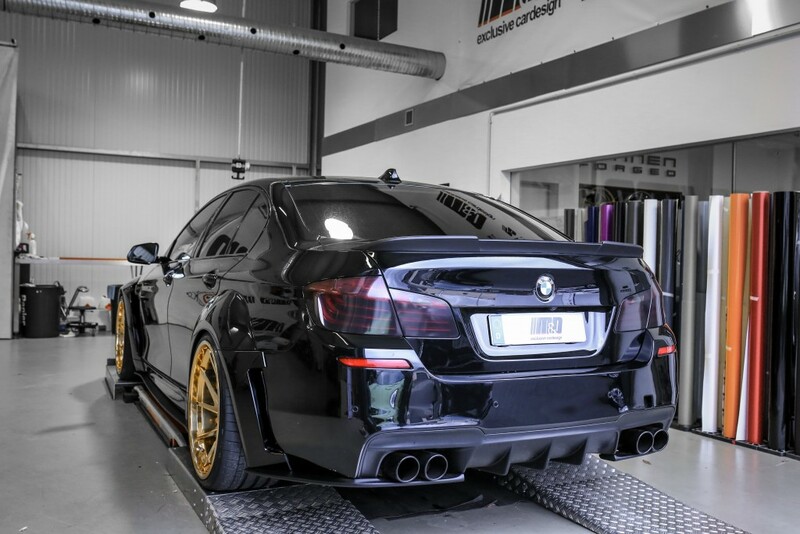 Stainless steel exhaust system with black chromed 80mm tailpipes + dual sound generator / sound processor. 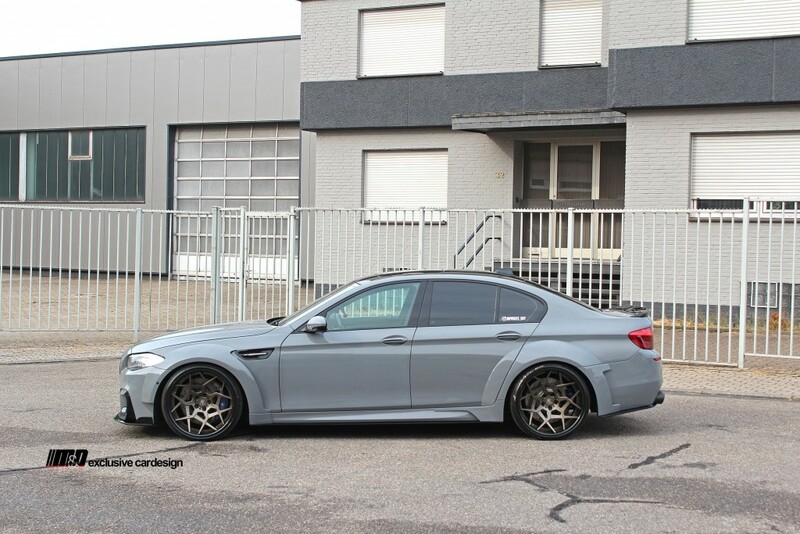 Individual ECU optimization & KW DDC coilover suspension with damper control via Button & App on the phone. 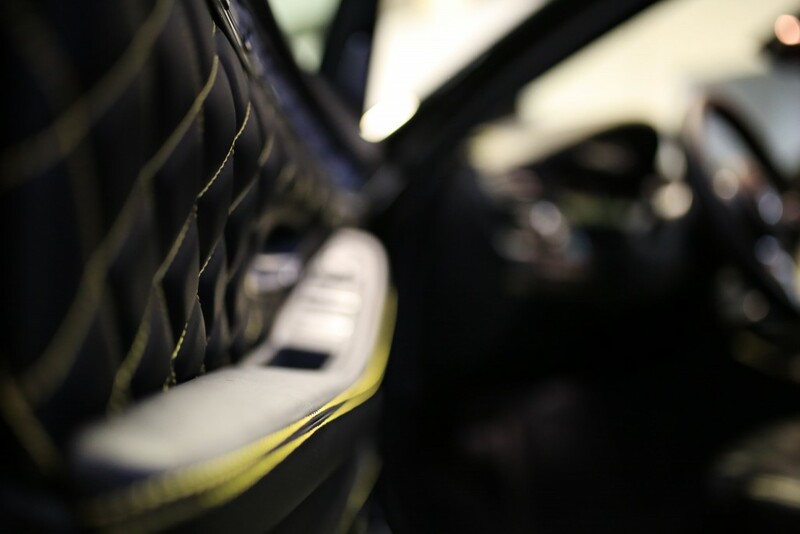 Individual control unit optimization. 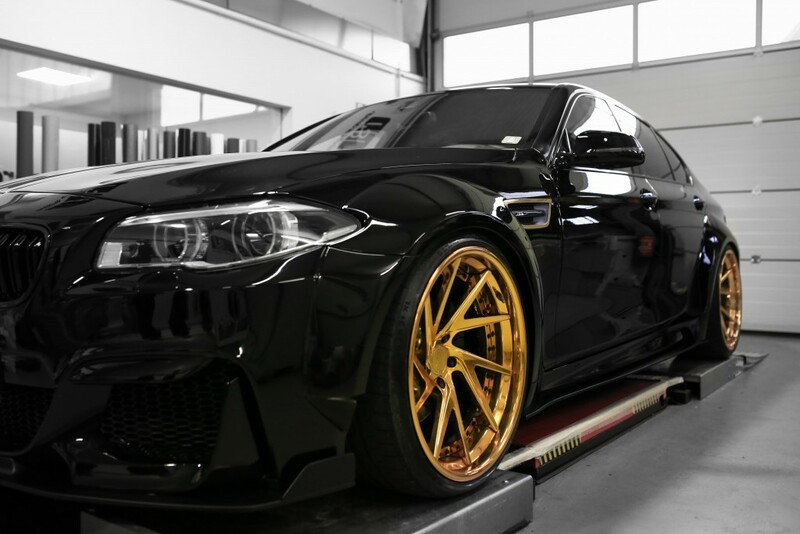 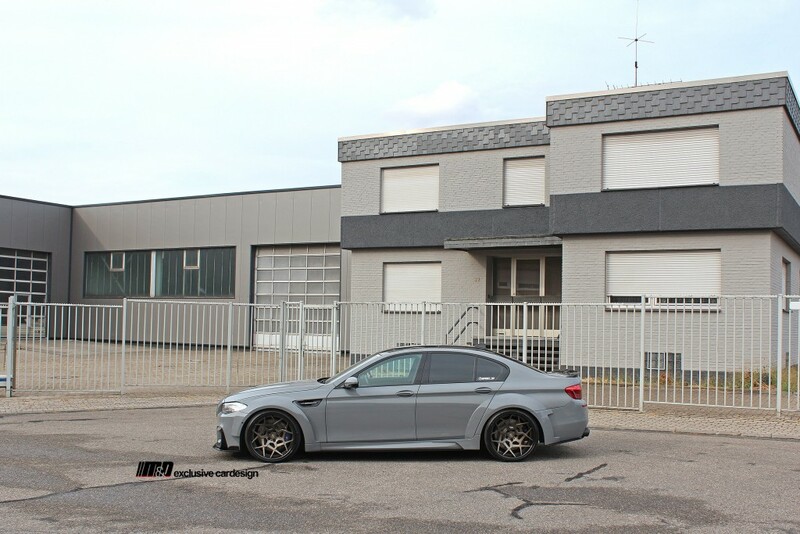 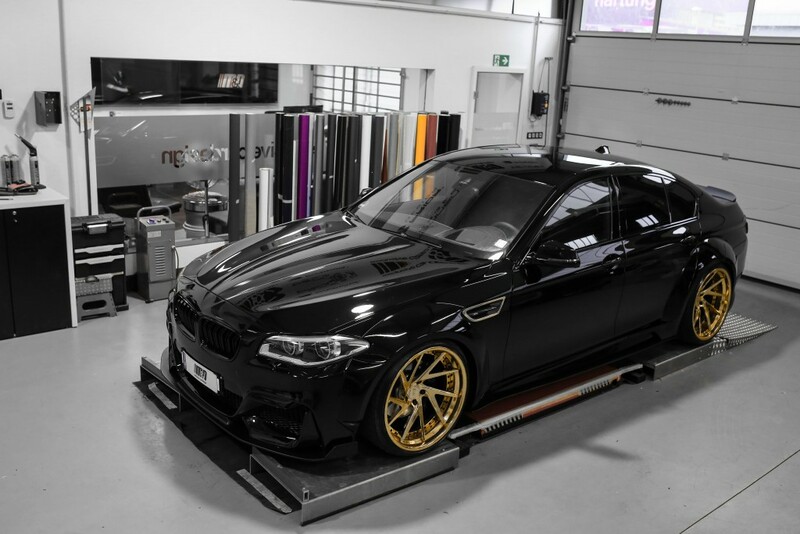 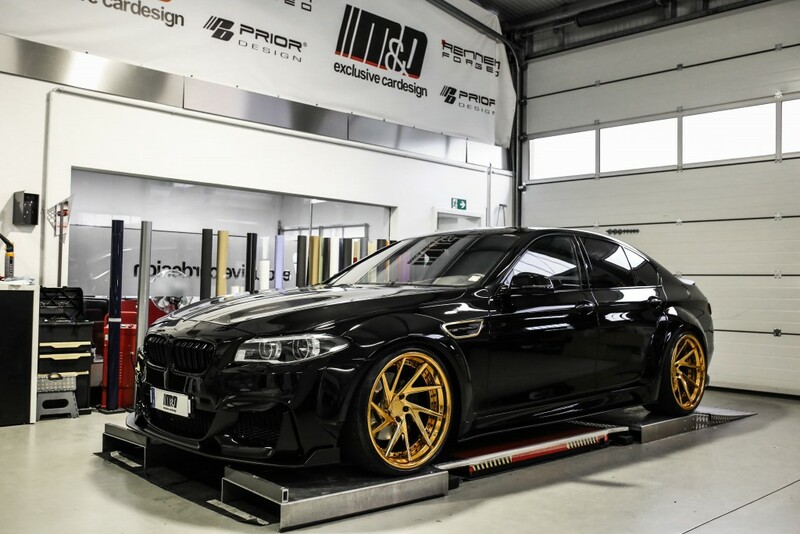 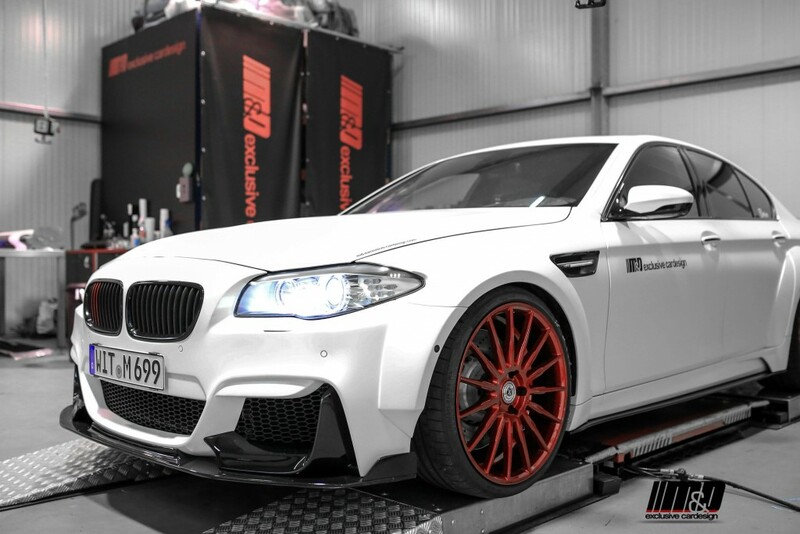 If you are interested in a custom made M5-Style exhaust system for BMW 5-Series F10 or a complete wide body kit conversion in our work shop, please feel free to contact us.